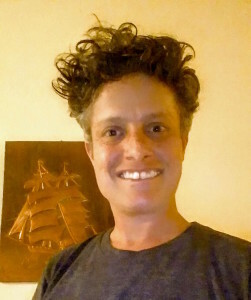 Video Artist & Activist, Shanestar Productions, Inc.
Shani Heckman is a filmmaker whose films focus on social justice issues, often through a LGBTQ lens. Through her non-profit production company, Shanestar Productions Inc., the award-winning documentary films Wrong Bathroom (2005) and America’s Most Unwanted (2012) which have screened around the world and been supported through foundation grants and crowdfunding efforts. She is working on a hybrid film about gentrification in San Francisco’s Mission District, The House on Lucky Street, supported with an Individual Artist Grant with the San Francisco Arts Commission. Shani supports other filmmakers and LGBTQ organizations as producer, editor, and promoter. Shani was an Equity Fellow while completing her M.F.A. in Cinema at San Francisco State University and volunteers with the S.F. Dyke March on its organizing team. Prior to filmmaking, Shani produced the multi-media event, Girl Fest, in Santa Cruz and San Francisco.